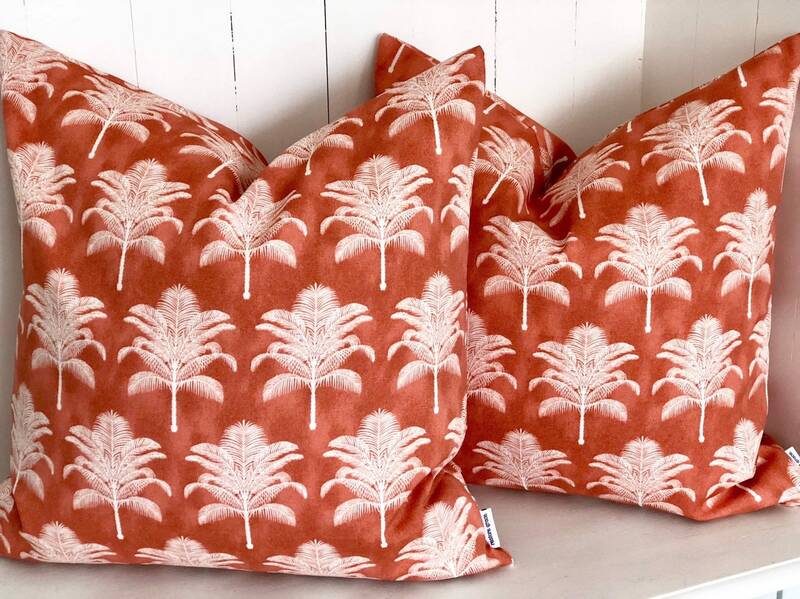 A Californian getaway vibe is created by these stunning, vibrant and fun outdoor cushion covers! 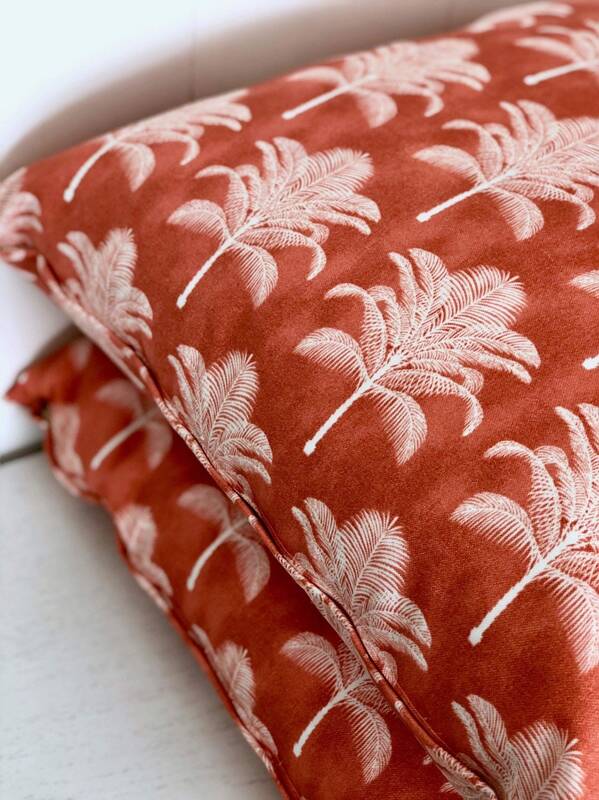 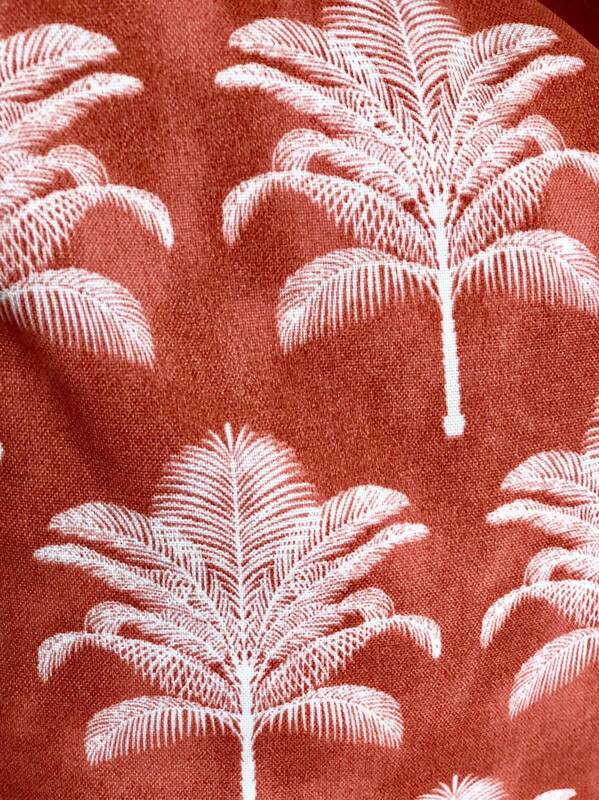 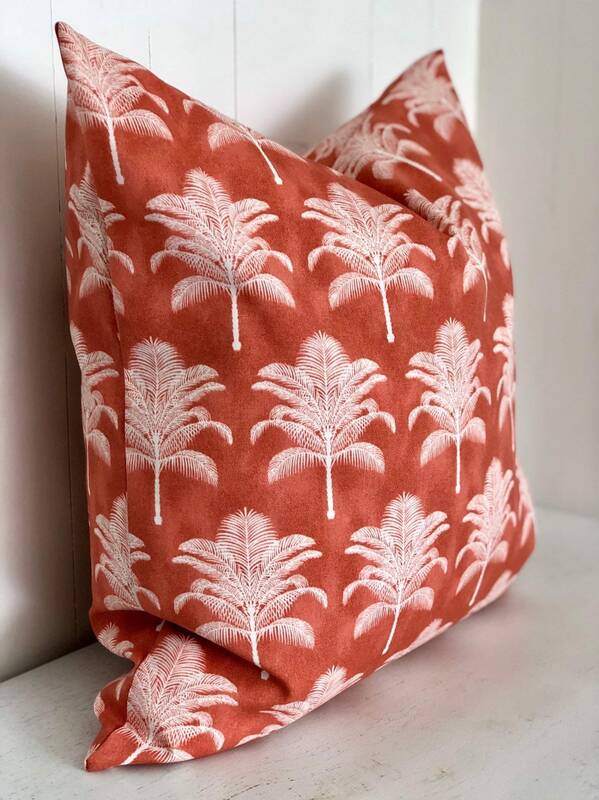 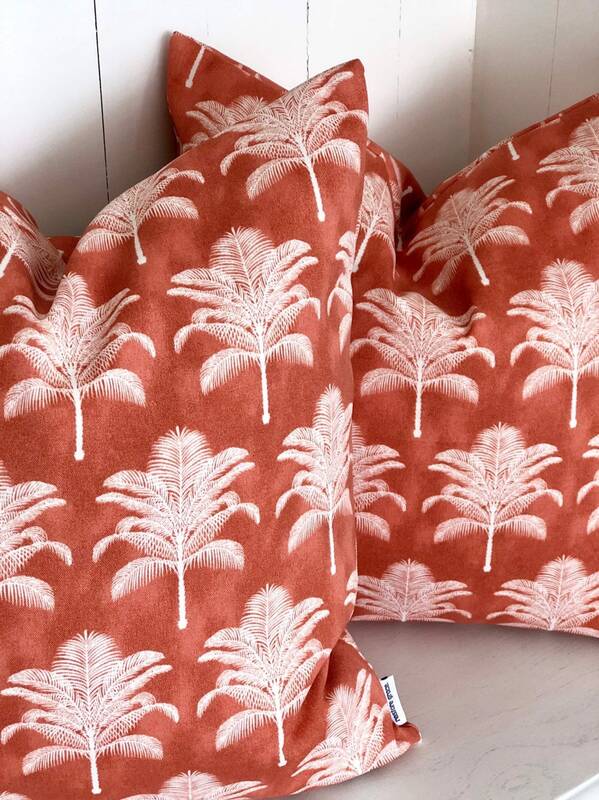 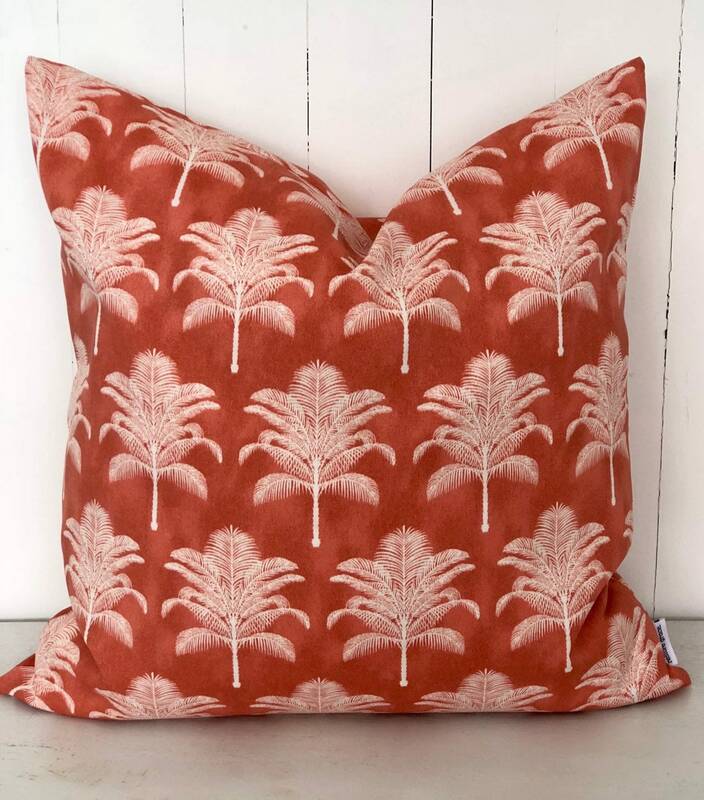 a rich coral colour with white palm trees creates a beach retreat in your outdoor area. 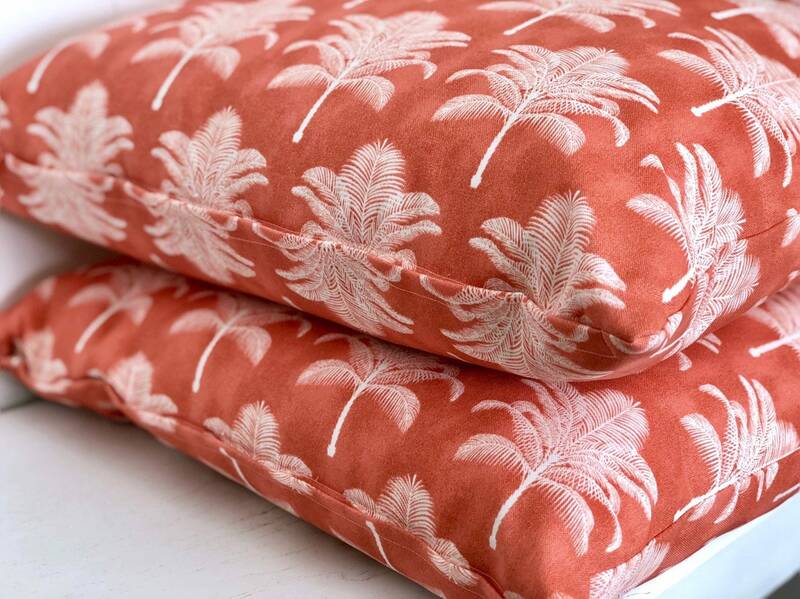 Made with 100% polyester. 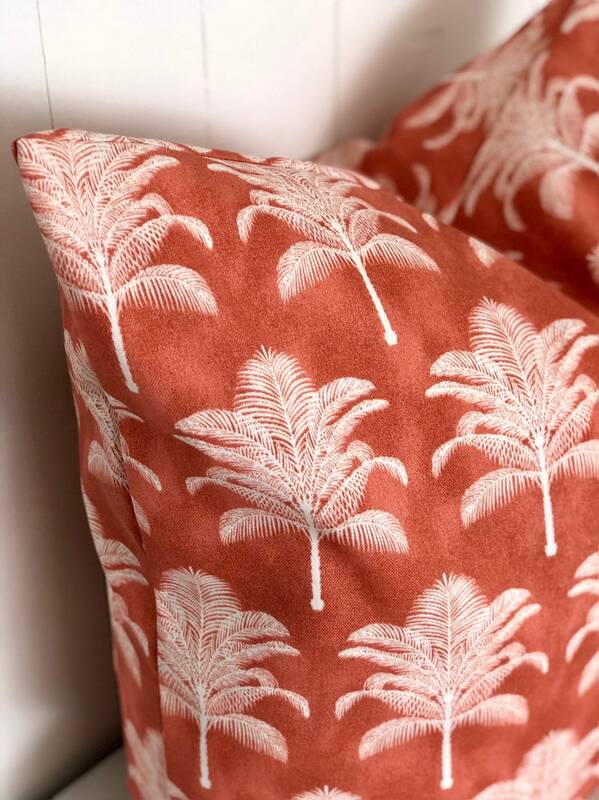 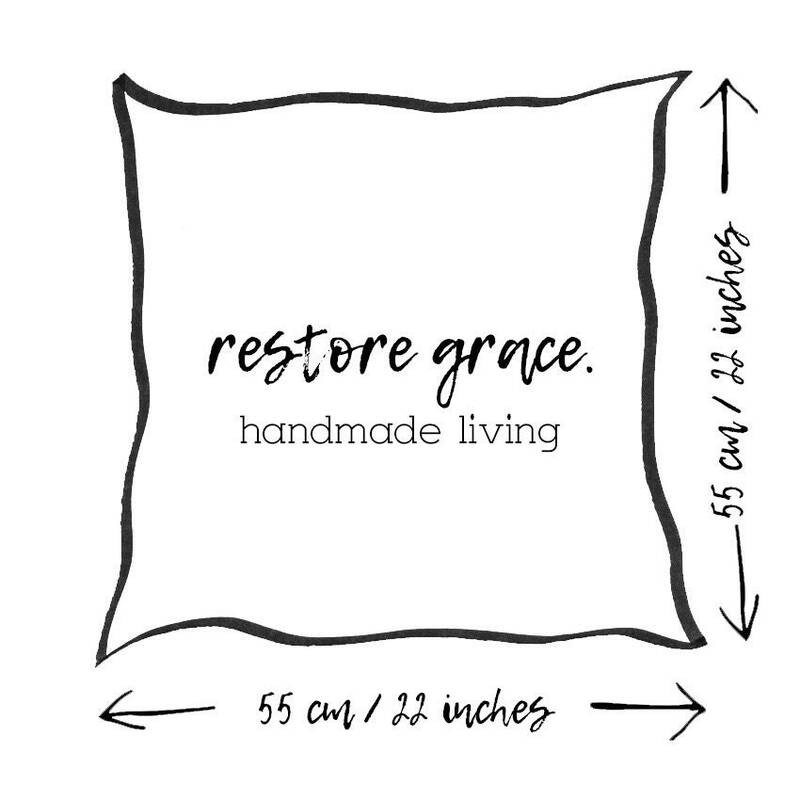 Although some of our gorgeous cushion fabrics are made by Designers, such as this by Tommy Bahama, all of our cushions are HANDMADE by restore grace.